Stop. Before you take another step into this new work week, decide which way you will go. 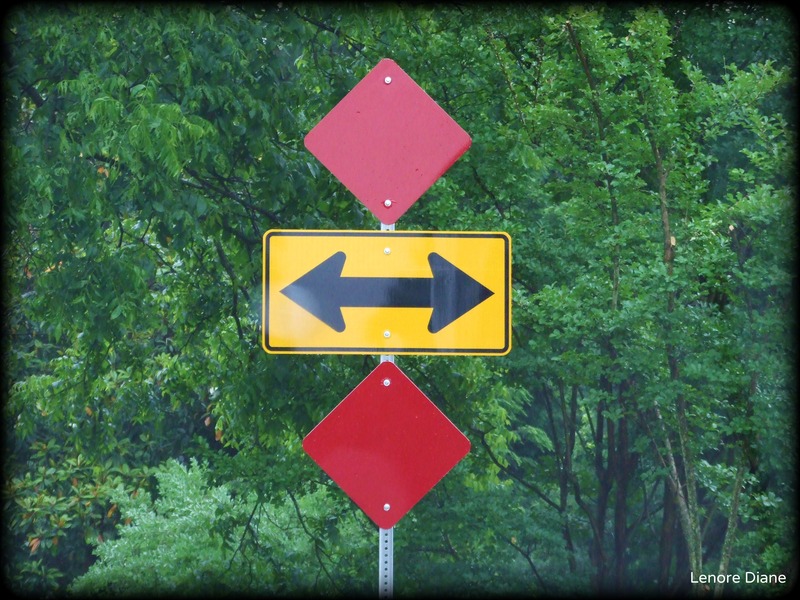 Will you go left, or will you go right? You make the call. Here’s to your confidence getting you through any missteps that occur, and here’s to the knowledge that you did what was right for you. We all have choices, though we need to be open to and accept the fact that we do not all make the same choice. OMG this is so my day, my week, my work life right now. So… straight isn’t an option? Oh LD, you could make a book out of these. Hm, a fork in the road…let’s eat! I like you way of thinking, Patti! That last sentence can be applied to many different aspects of life. The trick, I guess, is to somehow remember it. One may have to be a magician to retain the moments of clarity. The trick seems to disappear quickly.